'In His Presence' is an app that gives viewers an opportunity to encounter Jesus Christ in virtual reality. Who's behind it? What happens in there? How does it feel? Tapestry producer - and VR virgin - Sean Foley dons the goggles to find out. It may or may not be part of your everyday life, but immersive technology is going at quite a pace. Every few months, there are advances in the hardware needed to make virtual and augmented reality possible. The advent of virtual reality via smartphone has opened up a potential audience numbering in the hundreds of millions. Journalism, gaming, and filmmaking are all adapting their methods to give viewers the most intensive sensory experiences possible. But what are the spiritual applications of virtual reality? If this technology is powerful enough to give us deep physical sensations of speed or motion or heights, what can it do if it's applied to the act of meditation? That's a question you might be able to answer if you tried out the new VR app, In His Presence. It's an immersive prayer experience, in which viewers encounter Jesus Christ. The aim seems paradoxical: Using VR technology to help we over-stimulated folks cut through the noise of our hyper-wired lives. But immersive environments wield a lot of influence over our perceptions. In His Presence may be a Christian-oriented prayer app, but the team behind it says they've tried to make it inviting and rewarding for people of any religious tradition, or no tradition at all. 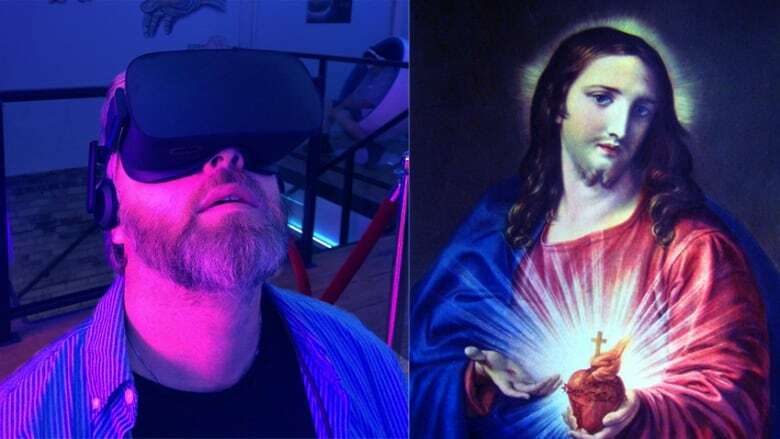 Tapestry producer Sean Foley had a chance to encounter Jesus in VR, at the third annual edition of FIVARS: The Festival of International Virtual and Augmented Reality Stories, in Toronto. He also spoke with creator and director Brenda Colonna and producer Philip Plough about where the idea came from and why they think VR is so well-suited to spiritual experiences. What Sean found is that In His Presence has a spiritual history of its own.